I have long suspected that I am raising some kind of Pinky and the Brain style mad genius. 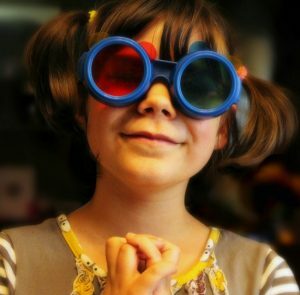 My youngest daughter has a, well, let’s say a scientific bend. I also strongly suspect that if she knew that “taking over the world” could be a life goal, she would SO be on it. Gigi digs gears and cogs, robots, and things that whir and go. She wants to take everything apart and understand how it works. She loves science. She has been keen on science since she was so wee I wasn’t entirely certain where her concept of “science” was coming from. For example, two years back, when she was five, she asked Santa to bring her “Science Fiction” for Christmas. While this past Christmas she requested a robot that she could build and program herself (which is a pretty tall order when you keep in mind that she was only six and still likes to chew on things). 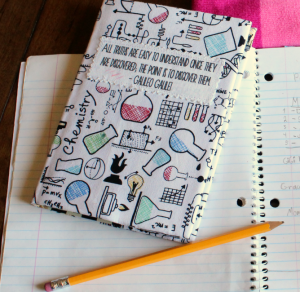 When she was in kindergarten she took one of the blank workbooks I’d given her to draw in and turned it into a book of science experiments. She enlisted her older sister’s help, getting her to write out word by word her “science plans”. Most of them involved frogs. Reading through these books convinced me that my daughter should never, ever, be left anywhere near a live frog. In fact, I’ve been thinking that I should probably hang signs in our neighbourhood: Frogs beware. Do not enter. Mad scientist at work. Turn back, before it’s too late. After reading such zingers as “What would happen if you put a frog in a pot of hot water?” “What if I steal a frog from its pond and drop it off far away in a forest?”, and “What will happen if I put a frog in a freezer?” I took Miss Jr. Mad Scientist aside to um, suggest that frogs (and any other animal, thank you very much!) might not enjoy her planned experiments. “What do you THINK would happen if you did this or this to a frog, honey?” She explained that she was well aware that the frog wouldn’t enjoy, or survive, most of her more ambitious ideas. She told me that was why she wrote her experiments out, so she could think them through and know that those wouldn’t be good things to do. Ah. Um. Ok. So, hypothetical science. She gave me a very solid promise that she wouldn’t TRY any of her experiments without running them by me first. I still feel like I should probably invest in those signs (and keep her away from the neighbour’s pets). It’s not that she’s cruel. 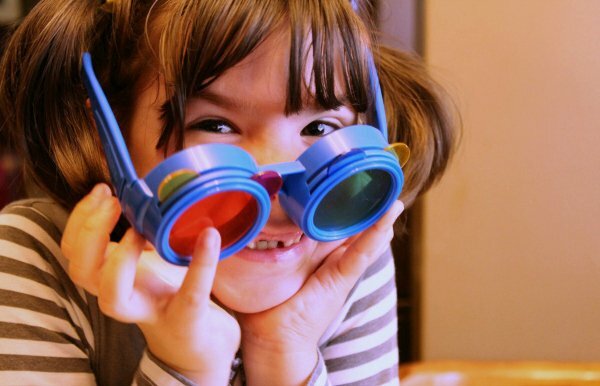 She is one of the sweetest, most empathetic kids I know. She just has this insatiable curiosity. This need to KNOW. But more it’s more than simply the drive to learn. She has this need to figure everything out herself. She doesn’t want to just take someone else’s word for it. She wants to FIGURE IT ALL OUT. She stopped for a moment, quiet, serious, and thoughtful. “It’s because I just have SO MANY QUESTIONS and I NEED TO KNOW.” She said it with such force, such desperation. And then, without pausing for a breath in between she started rattling off non-stop questions. Why can’t I see air? Why don’t we fall off of the planet when it turns and when the world spins all the way upside down? If the earth is round why does it look flat? Why do cookies taste so good? What is a chair made out of? What is a mountain made out of? How did the first chicken get here? How many different types of chairs are there? What would happen if you put a human inside outer space with no special outfit? How does a computer notice when you hit the keyboard buttons? Why are we able to see? How can some creatures see in the dark? Why do some people have blue eyes? Why do some people have brown eyes? What happens when you mix fish with icecream? How does liquid transform into different shapes when you put it into stuff? How can scissors cut through paper? Why do most of us have hair? Where did the first human come from? How did the first baby get here? Did she have a mom? If not, who took care of her so she could grow up and make more people? And if she had a mom, where did that person come from? Where did the first special antique thing come from and who made it? Why do we normally have fun and what does that even mean? Why doesn’t the world not turn, like why wouldn’t it stop moving? Why do we need to breathe and how do we breathe? How does the dishwasher work? Who was the first person to make a robot? 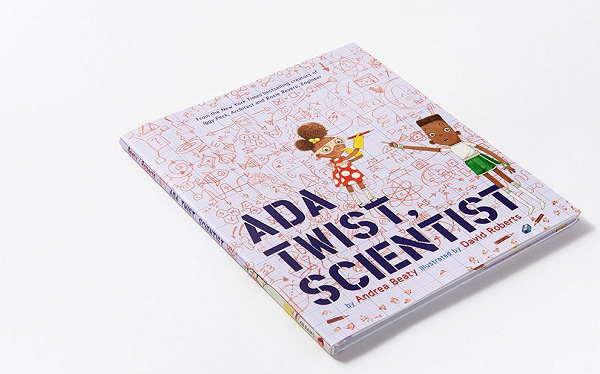 My brother gave Gigi the perfect picture book for Christmas this year, Ada Twist, Scientist. 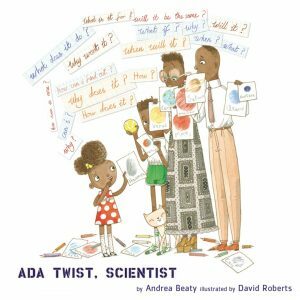 Ada is a little girl with the “heart of a young scientist”. She asked a small question, and then she asked two. and some of those questions resulted in four. I’m hoping as she gets older my girl will become more open to the concept of research, reading, and learning from the great scientific minds that came before her. For now, I’ll be happy if she continues to keep her more crazy hypothesises in the realm of the hypothetical. What about you folks? Anyone else out there with a science obsessed first grader on their hands? How do you help fuel their passion for exploration, while guiding them away from experiments that are too dangerous or wild (a.k.a. how do you keep the neighbourhood frogs safe from harm)? It’s all in the heart of a young scientist. 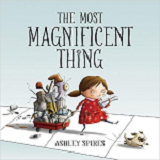 What books do YOU suggest for helping to fuel a child’s passion for science? Disclosure: This post is not sponsored. As always my words and opinions are my own. Some of the links above are affiliate links. If you click through and make a purchase I get a small percent at no cost to you.